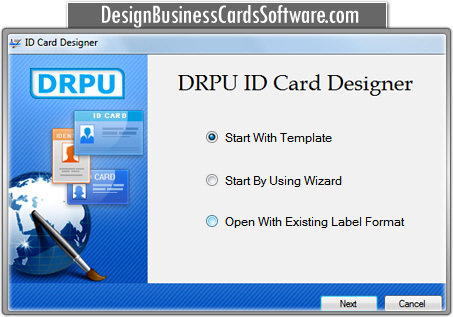 ID card design software is the economical solution to design and print proficient identification cards. Software provides various card designing objects including pencil, text, ellipse, rectangle, rectangle, star objects, triangle and Arc to design ID cards in different shapes and sizes as per user requirements. 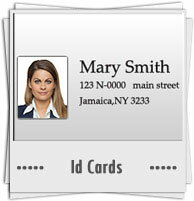 Software provides option to add photos, text, logos and graphics on ID cards and make cards in various shapes and sizes. Design attractive identity cards in different shapes, colors and sizes. Inbuilt advance printing settings to print created ID cards. Provides facility to the users for adding photos, text and logos on ID card. Allows user to create new ID cards or modify existing cards. Password settings helps user to prevent from unauthorized software access. Design different ID cards such as Student ID cards, Employees ID cards, Faculty ID cards, Company ID cards, Visitor ID cards, Security guard ID cards and other corporate ID cards.